If the establishment media’s coverage in the home stretch of the 2018 midterm elections is any kind of prologue to 2020, be prepared for an avalanche of right-wing xenophobic propaganda during our next presidential election. That’s because, once again, the political press dutifully chased Trump’s rhetorical tail as Election Day neared, and repeatedly ceded its editorial judgment and newshole to the nativist fearmongering he used to stoke the Republican Party’s base. And nowhere was this fecklessness more apparent than media’s breathless “migrant caravan” coverage. Left-wing media critics documented these failures almost in real time. 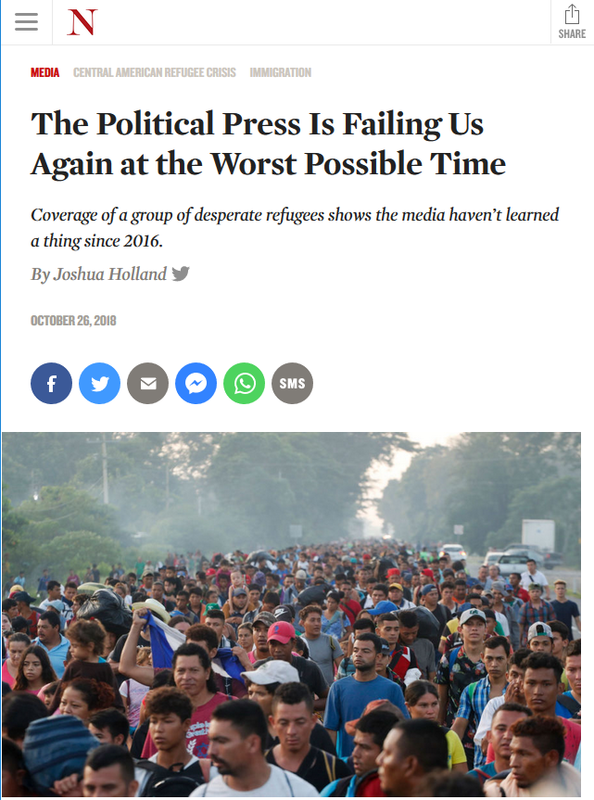 Joshua Holland at The Nation (10/25/18) noted in late October how Trump was all but acting as the de facto segment producer for all those ubiquitous cable news panel shows that were spending all their time discussing a few thousand asylum seekers that were more than a thousand miles from the US southern border. What is most striking, however, is the Post and Times’ unmistakable cognitive dissonance and institutional blindspot about this coverage. Throughout the weeks leading up to Election Day, these two news organizations dedicated analysis, blogs and opinion pieces—mostly online—to detailing the naked gamesmanship and misinformation behind Trump using the migrant caravan as a campaign bogeyman. But then the papers’ front pages and their “straight” political coverage routinely used Trump’s assumptions as the premises for framing their stories. 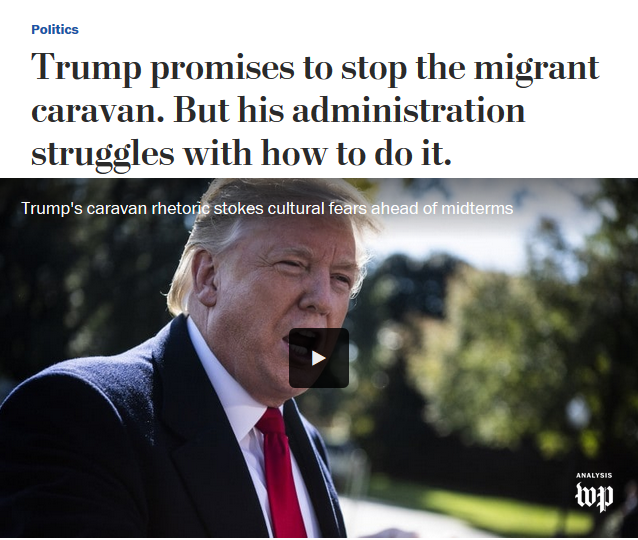 Case in point: On October 25, the Washington Post ran a business section analysis (10/25/18)—“Why False Narratives About the Migrant Caravan and Mail Bombs Won’t Go Away on Social Media—and an online factcheck (10/25/18)—“A Caravan of Phony Claims From the Trump Administration”—that sought to debunk the many lies and conspiracy theories fueling the migrant caravan narrative. But neither of these pieces bothered to look at how the Post’s own flood-the-zone coverage was exacerbating the story and giving it the oxygen to make the conspiracy theories more relevant. This lack of self-awareness wasn’t confined to the Post. 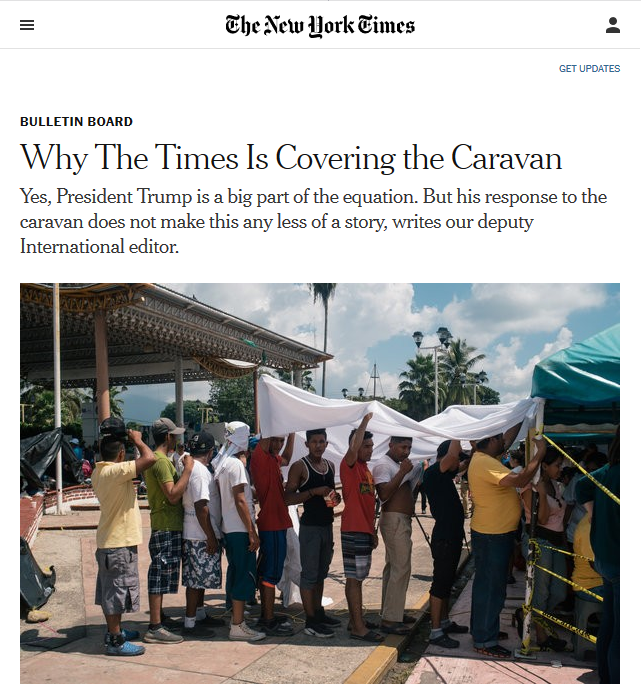 This week, New York Times White House correspondents Maggie Haberman and Mark Landler wrote a similarly obtuse analysis piece (11/13/18) about the migrant caravan as campaign issue. Leading off with a damp-bread headline—“A Week After the Midterms, Trump Seems to Forget the Caravan”—Haberman and Landler proceed to offer a workable review of the president’s sudden amnesia about an issue that up until a week ago was tantamount to a national crisis. However, this Times story also doesn’t bother to look in the mirror. In fact, it fails to mention the words “press” or “media” even a single time, although it does take what could be construed as an oblique potshot at cable news with a brief mention that the “caravan having faded from television screens.” Nowhere is there any mention of the 14 front page stories—averaging one a day—that their own newspaper ran on the migrant caravan in the two weeks before Election Day. 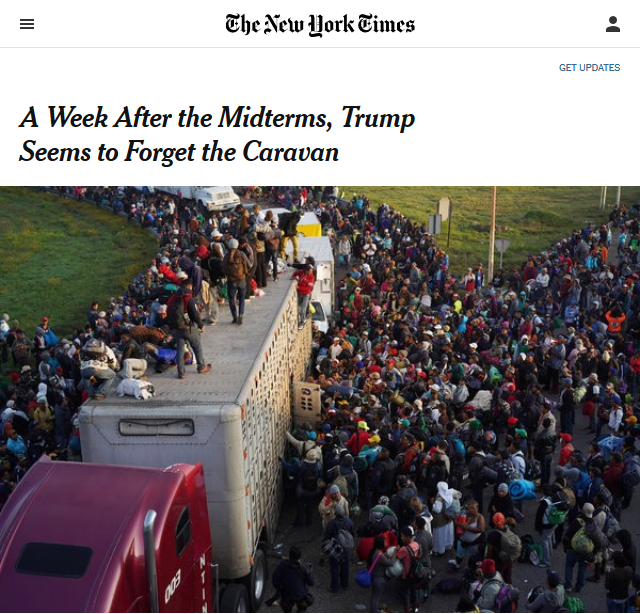 Nor was there any acknowledgement that the Times, too, “seems” to have mostly forgotten the caravan, having only run one photo (11/10/18) on the caravan and one full story (11/11/18) on the military deployment to stop it on A1 since Election Day. What’s more, a search of the Times archives found stories mentioning “migrant, caravan” fell by more than half between 10/25/18–11/5/18 (an average of 19 a day) and 11/7/13–11/13/13 (an average of 9 day). Even more galling, Haberman and Landler included this sentence in their introduction: “There was little dispute, even before Election Day, that Mr. Trump was exploiting the caravan for political purposes.” That sentiment, that the president was merely ginning up outrage to boost Republican voter turnout, though undoubtedly true, was hardly a fixture of all the Times’ staid reporting on the caravan in the previous weeks. For example, an October 26 story on Trump’s decision to deploy more than 5,000 US troops to the border only offered one brief aside—a quote from Democratic minority leader Nancy Pelosi—that suggested the move was anything close to a brazen political ploy. One could read other Times articles about the caravan as well without encountering this now breezily made conclusion. And, yes, President Trump is a big part of the equation. But that does not make the caravan any less of a story.  It simply adds yet another powerful dynamic to an already newsworthy phenomenon. After all, Mr. Trump’s immigration policies determine the fate of these migrants, and his repeated return to immigration as a campaign theme shapes the election debate. It’s not our job to pretend that the caravan and the president’s response are not happening. To the contrary, it’s our mission to explain, with clarity and fairness, what is real, what is not and why it matters. Despite the public editor’s uneven history, the Times and its readers were still unquestionably better served by its presence and its potential. To lose this position means both the paper and the public will suffer in the long run. Corporate media, now more than ever, can only recapture the public’s trust by bringing more transparency and accountability to those people and institutions in power. And yet these news organizations are increasingly uninterested in applying those same principles to themselves. Just as with the corporate media’s obsession with Hillary Clinton’s emails during the 2016 election—at the expense of robust policy coverage—what’s really at issue here is the broader framing and messaging the press sends through its disproportionate focus. If the last month is any indication, establishment news organizations like the Post and the Times still haven’t learned the key lessons about their flawed 2016 election coverage. And so they continue to fall for the feints of a president who leverages their deference for authority to mainline hate and bigotry in the service of his and his party’s political fortunes.